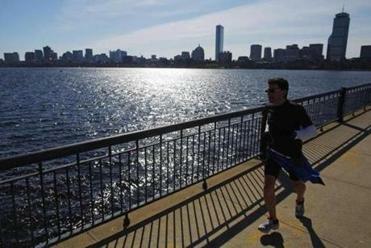 Update: The USOC announced on Jan. 8 it had selected Boston as its nominee for the 2024 Olympics. It is hard to accept that you need change, harder still when you are a group of more than 100 independent, strong-minded members from around the world that need to be of one mind. But the members of the International Olympic Committee have come together with one mind — we understand that the world has changed and that we must continue to change with it. That’s why we recently agreed to support the 40 recommendations of Olympic Agenda 2020, a roadmap for the Olympics. The recommendations will change our organization and the Games and make them fit for the future. We have listened to people’s concerns about the access and affordability of the Olympics, about our governance, finances, values, and our social and community responsibility. People want to understand more about our sustainability, credibility, and the plans we have to engage young people. 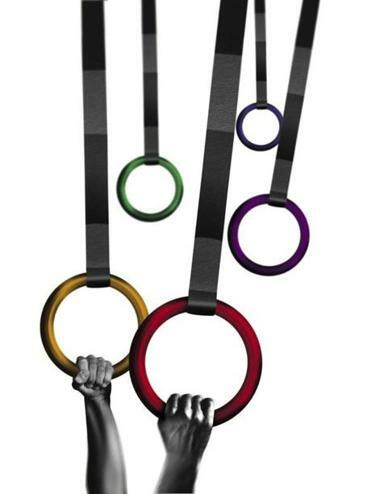 They want to understand how the Olympic movement and its values can play a role in making the world a better place. We have spent the past year addressing these concerns and tackling the next question, which is what to change in order to make the progress we seek. Progress for us means strengthening sport in society through our values. The bid threatens to divert resources away from the state’s real challenges, like transportation and affordable housing. Read: ‘Off the Page’: Should Boston host the Olympics? One of the recommendations we embraced is a new philosophy in the bidding procedure that will enable cities each to target their own different development goals. Bidding will not be a “one size fits all’’ solution. This is important as the US Olympic Committee considers a bid to host the 2024 Olympic and Paralympic Games. Each of the four cities being considered — San Francisco, Los Angeles, Washinton, D.C., and Boston — will no doubt present a strong bid. But we need to understand how the Olympic games can fit into the social, economic, and sporting interests of a city or region. We will respect and encourage diversity in bidding in the same way we have also enshrined diversity and the prohibition of discrimination as the fundamental principles of Olympism. We have also strengthened our good governance, transparency, and ethics. Our financial statements will be prepared and audited by the benchmark International Financial Reporting Standards, and even to a higher standard than is strictly legally necessary. We will provide an annual activity and financial report, including the allowance policy for IOC members, which will give evidence to the fact that the IOC members are genuine unpaid volunteers. We already have an independent ethics commission but, in common with good governance practice of many large corporations, we will also create the position of a compliance officer. We cannot forget that young people are our future. As a sports organization, we cannot be satisfied only with increasing numbers of young people watching the Olympic Games. Only children playing sports can be future athletes, and they can enjoy the educational and health values of sport. We want to inspire these children by giving them better access to sports and engage with them wherever they are. We want sports on more school curricula worldwide. We have adopted plans to include new sports that appeal to the young. I am also delighted with the recommendation to create an Olympic television channel. We must give our athletes and sports the worldwide media exposure they deserve between Olympic games, connecting the athletes with their fans, and the fans with their favorite sport. The recommendations the IOC has passed are all about progress, progress in safeguarding the values of the Olympics and progress in strengthening sport in society. And now our work begins. We have come together and agreed on our roadmap for the future. These changes will help the Olympics speak to a new generation of fans and athletes. In the same way as our founder, Pierre de Coubertin, set out on a journey more than a century ago, we carry the hopes and dreams of the world’s athletes to turn these recommendations into progress and to drive unity in diversity through our actions. We are shaping a brighter future for the athletes and the Olympic movement. Thomas Bach is president of the International Olympic Committee.